After lunch, John Harper, External Affairs vice president, brought the group up to speed on key items including the AEP repositioning study, and the review of benefits. 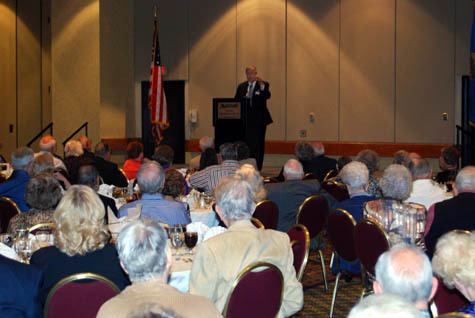 The PSO Circuit Riders retiree association celebrated its 26th year during its annual luncheon in Tulsa Sept. 19. Participation in the organization remains strong and so does retirees’ interest in PSO and AEP. Nearly 300 attended this year’s big gathering, including retirees, spouses and other relatives, and survivors.